This is the most versatile drum positioner on the market. 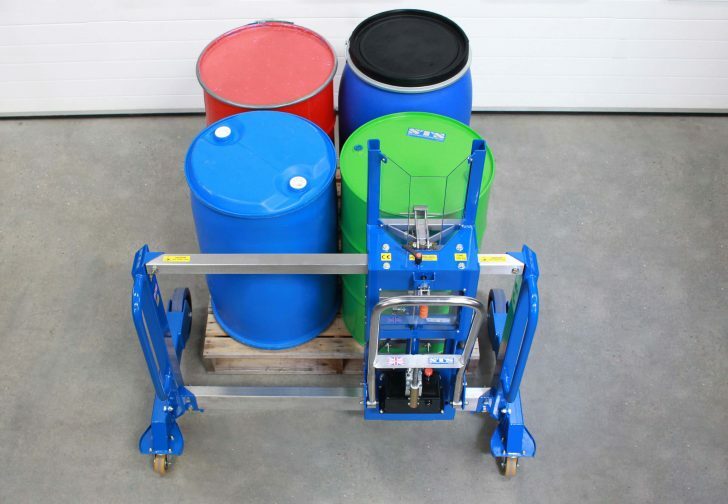 Our unique over-pallet lifter allows you to load and unload an entire pallet of drums from just one side, and the universal catch can connect the unit to a wide range of drums. 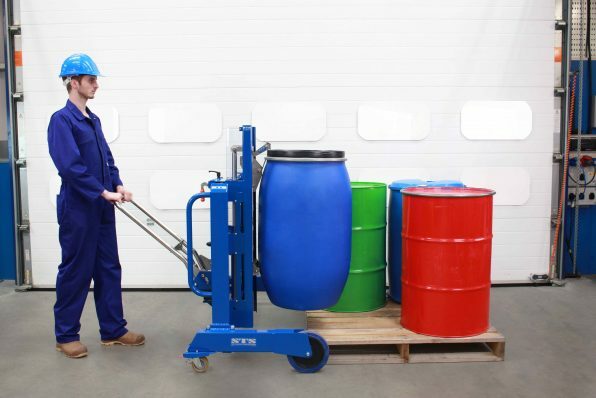 As with all our drum handling equipment, the Side-Shift Drum Positioner uses the highest-quality parts, including stainless-steel contact surfaces and grit-blasted, double-powder-coated mild steel components to ensure a long-lasting finish. Our side-shift function is unique: sixteen precision bearings allow you to smoothly slide the central lifter left and right, so accessing the whole pallet is simple and straightforward. 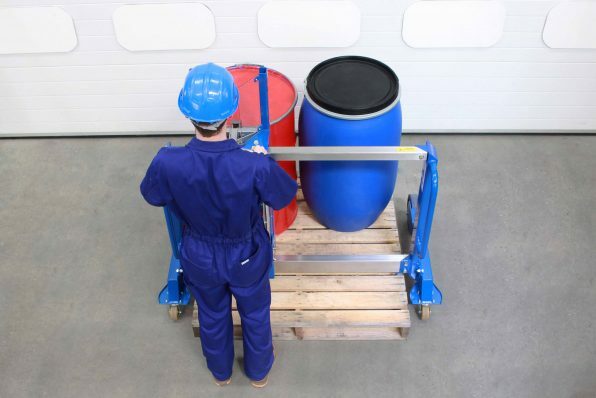 Once secured, you can move the drum lifter trolley over the pallet to pick up the drum. When lowering a drum to the floor, the side-shift function gives you precise control, reducing placement gaps between drums. We cut this catch from stainless steel with a precision laser, and we use it on a variety of our products. 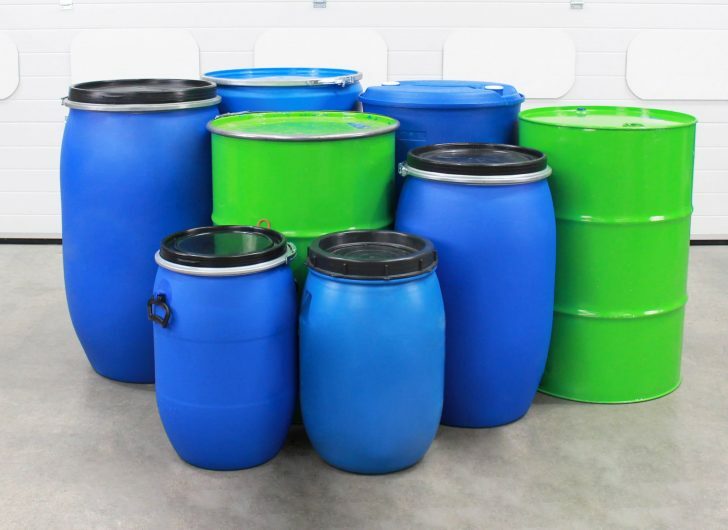 You can easily adjust the catch to connect securely to drums of different types, sizes and materials. For a breakdown of the drums that are compatible with this product, see the drum suitability document below. This enables you to move the drum catch to different levels to cater for a variety of drum heights; position the catch lower for shorter drums and higher for taller ones. 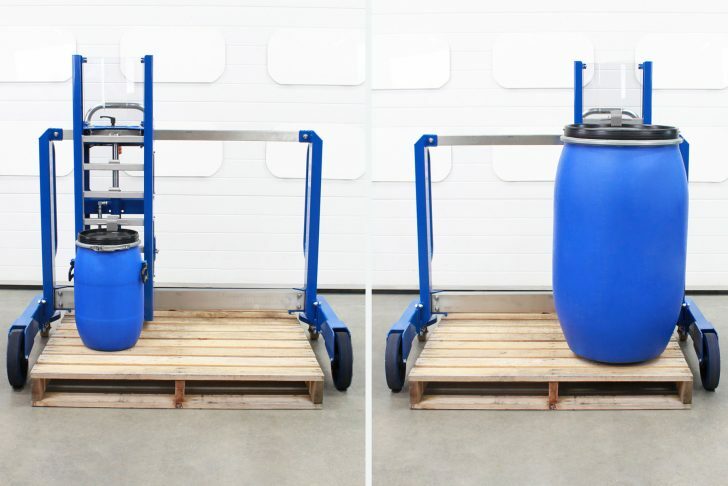 See the technical specification below for a full breakdown of the drum heights that are compatible with this product. 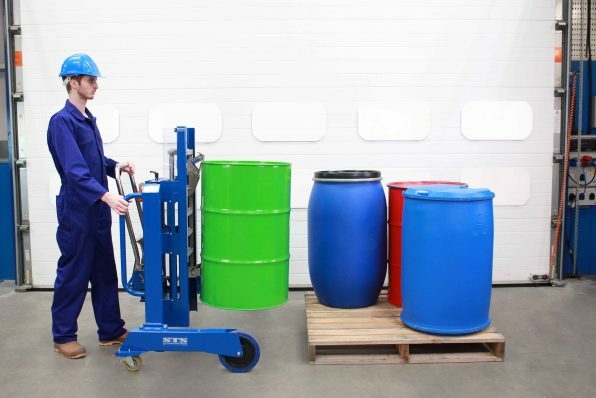 We fit only the highest quality UK-made pumps to our drum lifters. 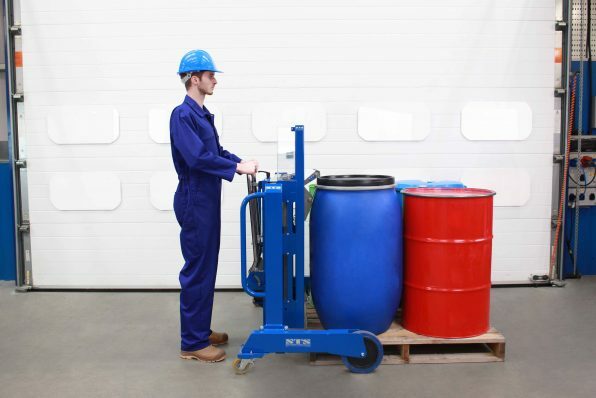 The pump is easy to operate, operators simply pump the handle to raise the load and then turn a precision valve to lower drums to the ground or onto pallets. Each lift system is assembled by hand in our factory ensuring circuits are clean, reliable and long lasting. Our team of engineers tests and inspects every pump during the manufacturing process ensuring zero defects. To ensure this product performs in all conditions, we source high-quality elasticated rubber wheels. We also use rubber-sealed (RS) precision bearings, which offer premium wheel performance in harsh environments. In order to get the most out of this unit we recommend you use it on smooth surfaces. 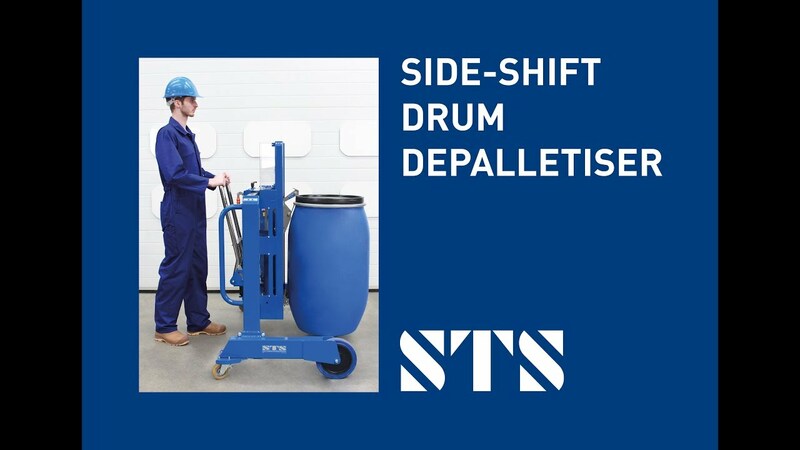 The DTP04 Side-Shift Drum Positioner can handle a wide range of drum types and sizes – especially useful if you need to handle a variety of drums. For a breakdown of the drums with which this product is compatible, please see the drum suitability document below. If the drums you use aren’t in the specification, contact us. Within certain industries explosive or potentially explosive atmospheres exist, these areas are classified as ATEX. 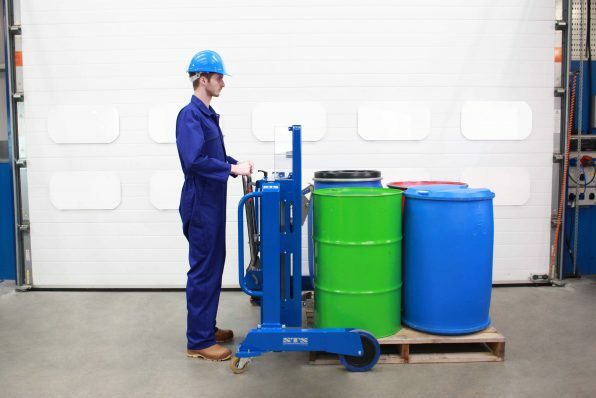 We provide fully-certified ATEX drum lifters for use in these hazardous areas. Our DTP04-Ex Side Shift Drum Positioner is suitable for gas and dust classified spaces: Zone 1, 2, 21 and 22. 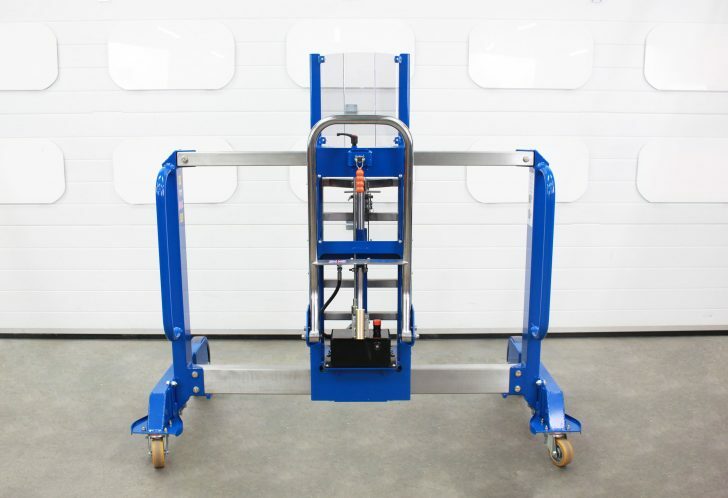 The drum lifter is manufactured to ensure electrical continuity, a path to ground is always present. 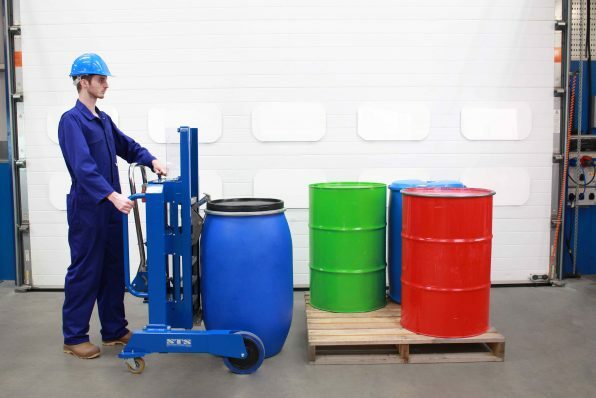 We supply our ATEX units with a manufacturer’s EU Declaration of Conformity. Suitable for use in an ATEX Zone 1 environment and certified to ATEX Directive 2014/34/EU: for equipment intended for use in potentially explosive atmospheres. We offer a range of stainless finishes suitable for clean rooms as well as good manufacturing practice (GMP) areas. 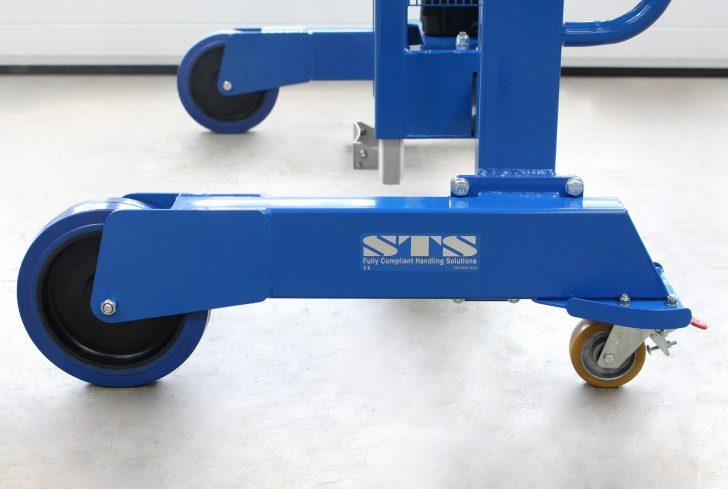 See the full technical specification for our Side-Shift Drum Positioner for details such as weight, dimensions and load capacity. View the instruction manual for our Side-Shift Drum Positioner, which details how to safely operate and maintain the unit.